One of the biggest reasons I went into teaching was because of my second grade teacher. She saw past my academic struggles and created incredible learning experiences that I still remember to this day. One of my favourites was when my classmates and I headed to the library with our passports in hand, hopped on a “plane” then landed in Mali, Africa. 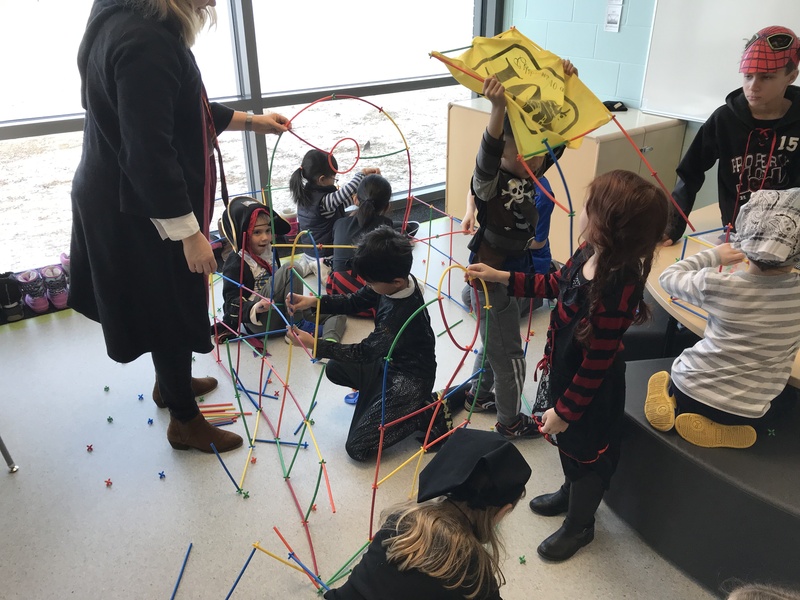 When we walked back into our classrooms, the room had been transformed and centers were set up as if we were really there. From creating pattern necklaces with fruit loops, to reading under the sun (hot lamp and filled kiddo pool and all! ), we were ready to learn and in the most fun way possible. Yes, that experience marked me, and I can only hope that I end up creating some experiences like that for my students. 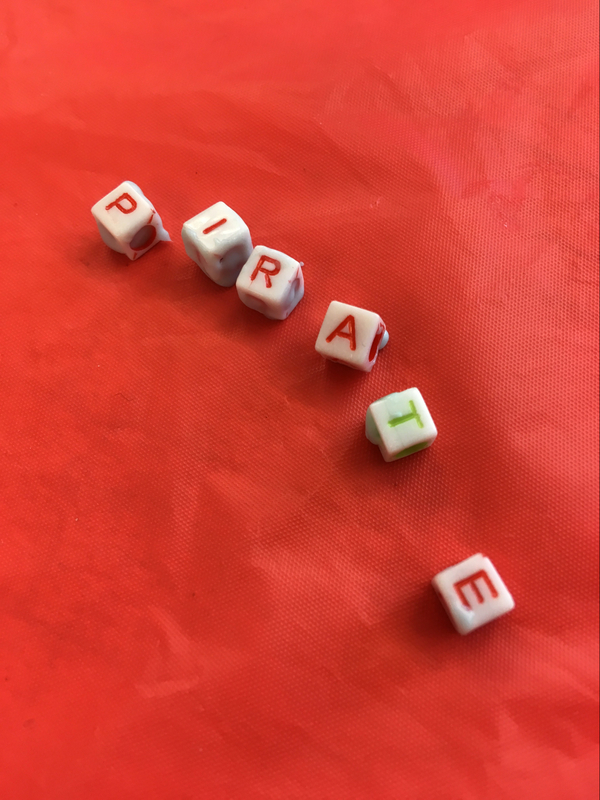 It’s no secret at school that I’m kind of obsessed with pirates. Ever since reading Teach Like a Pirate by Dave Burgess, joining the #tlap crew a couple of years ago and fully embracing this wonderful mindset of creating incredible learning experiences for students, I’ve been hooked (if you don’t know what all the fuss is about, pick up that book and see for yourself – you won’t be disappointed). 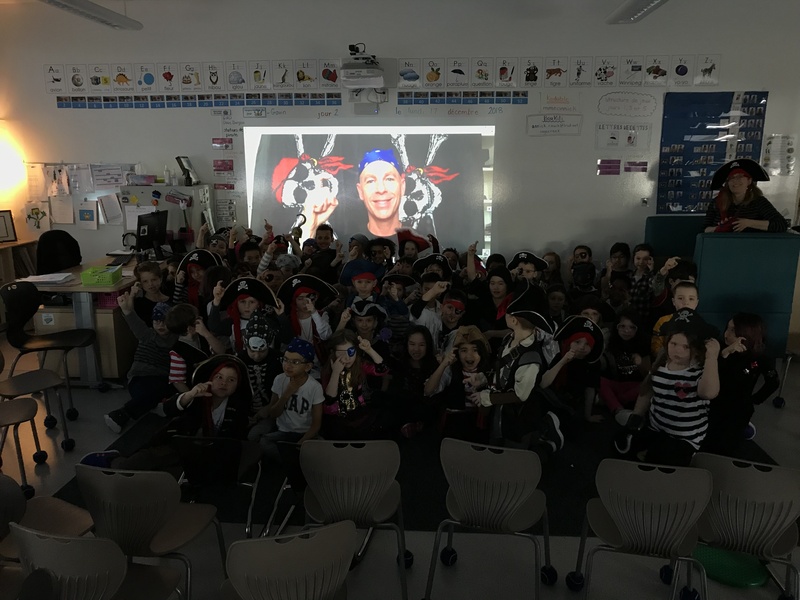 Earlier this school year after being inspired by my dear friend Tamara Letter‘s Pirate Day, I decided I needed to create a day like this for my students! 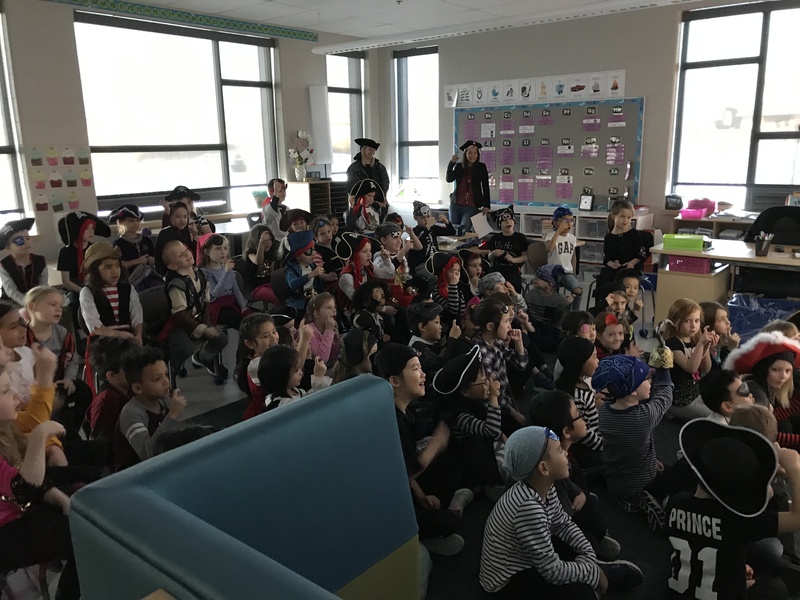 A tiny spark was all I needed, and with the help of incredible colleagues, the first Pirate Day for the first grade French Immersion students at École Sage Creek School was born! The last week before the Winter Break can be difficult. 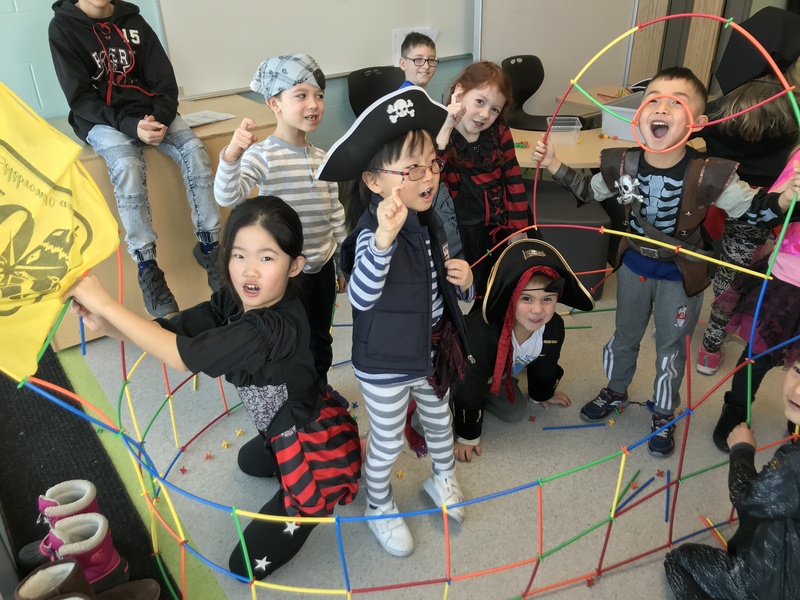 Students are tired, work is being wrapped up, and it’s difficult to start anything new with a break just around the corner… this was obviously the perfect time to have our Pirate Day! 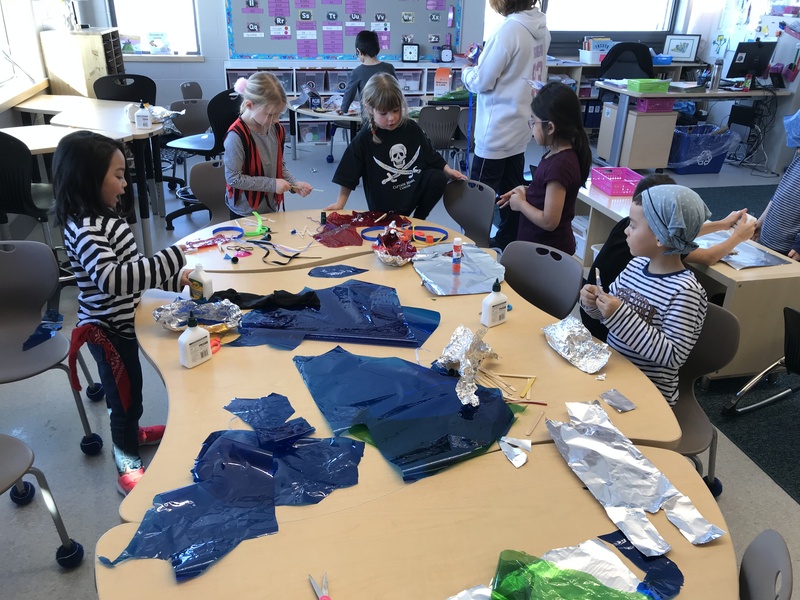 Some planning and collaborating with a grade 6 class made this day possible as 68 grade one students navigated through several different stations all while learning and having a blast. 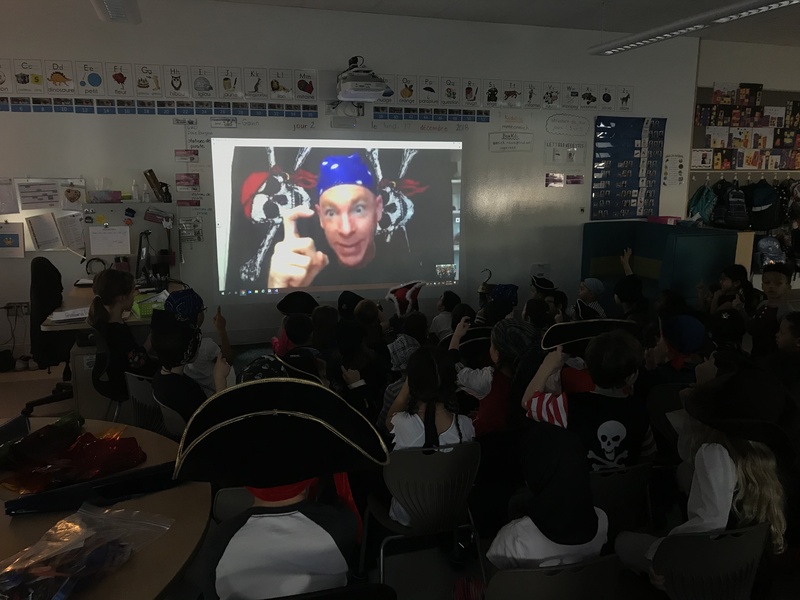 We kicked off our day with the pirate himself, Dave Burgess, who read to our classes. 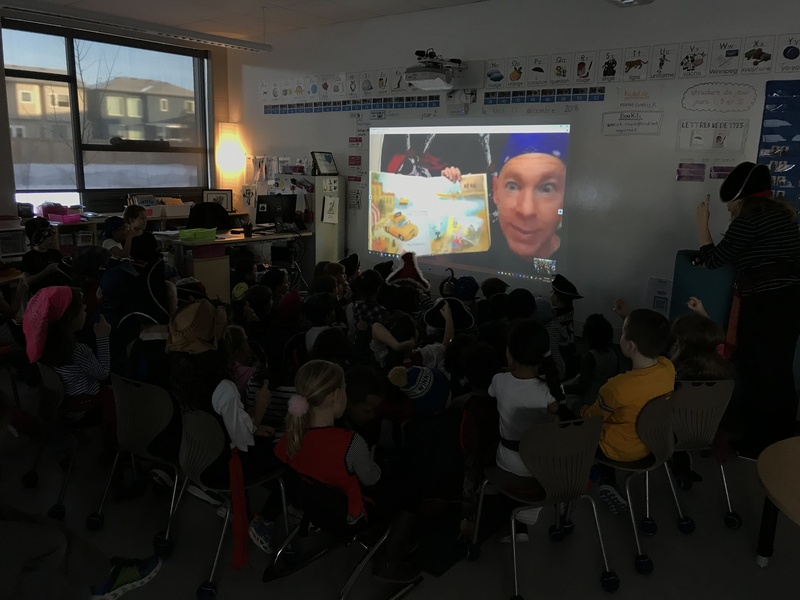 Through his engaging read aloud, we found out that the biggest treasure of all is books, because books can take you anywhere! 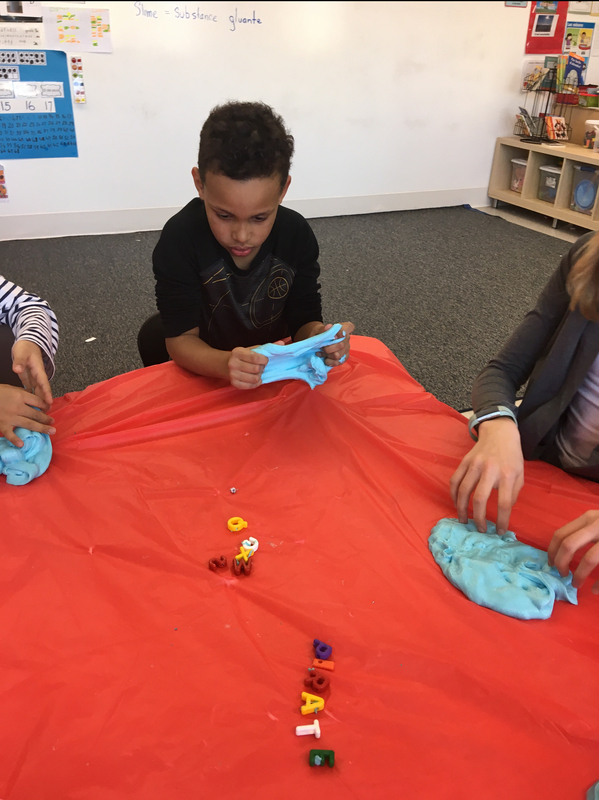 Students were then divided into groups and, for the remainder of the day, tackled different challenges all tied to the curriculum. 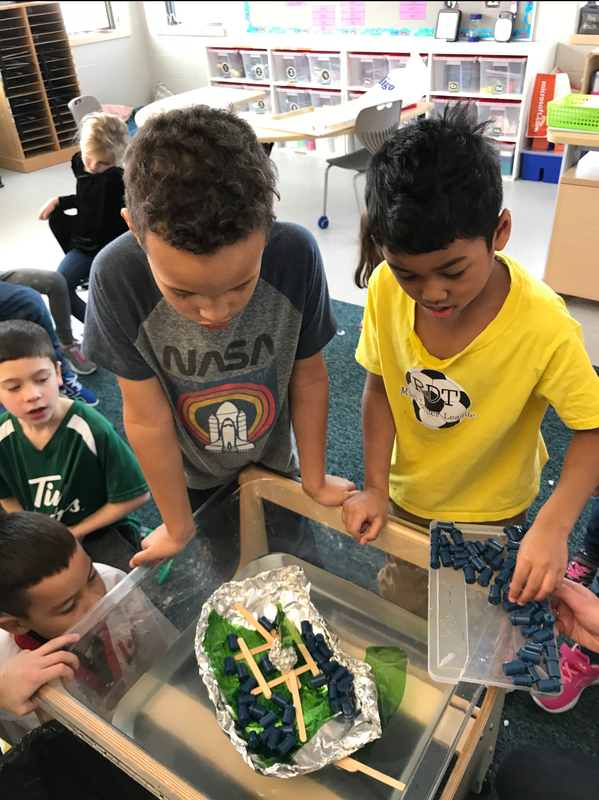 Our little pirates built ships that had to float and carry as much weight as possible (which was super fun to test out the next day – the kids learned so much after testing their first prototypes that many of them asked to make more). 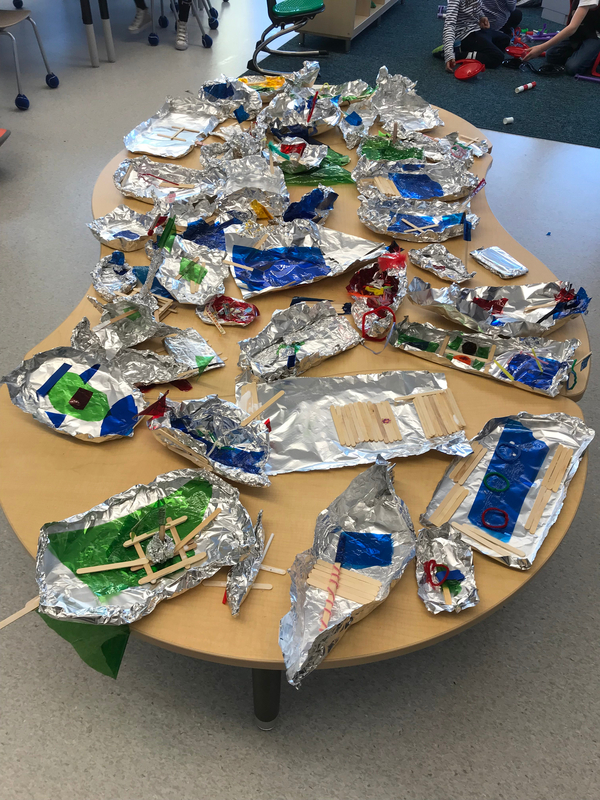 They also worked together to build bigger ships with straws and connectors; ones big enough that their whole crew could set sail in together! 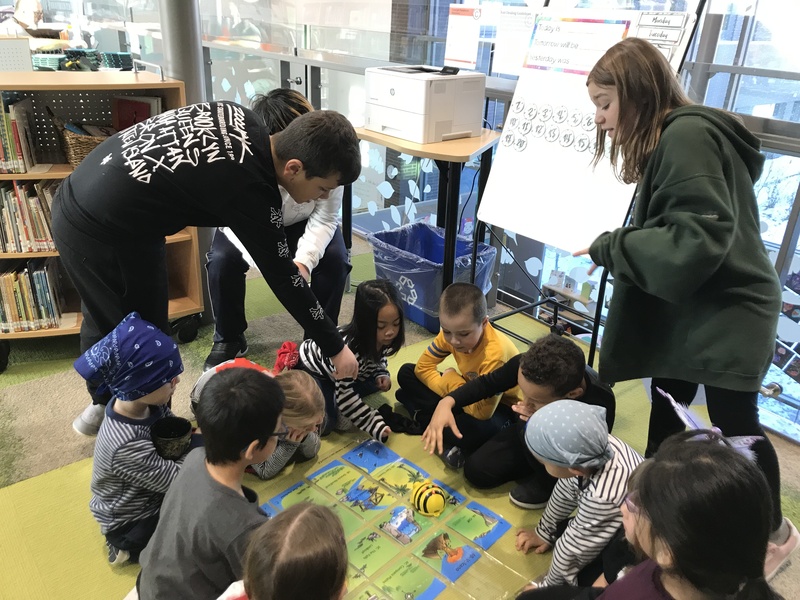 Students worked on their numeracy and computational thinking while coding a BeeBot to get to the treasure on a big treasure map. 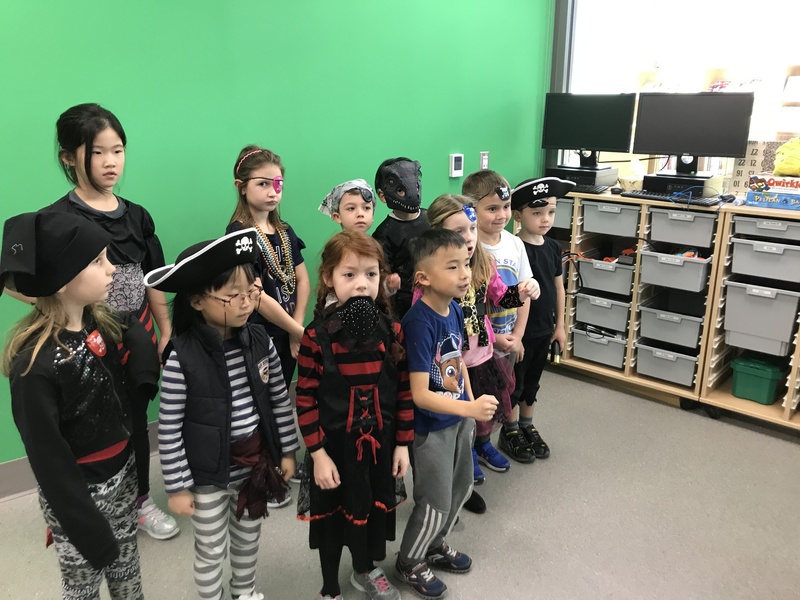 We incorporated some French vocabulary and couldn’t let their beautiful costumes go to waste, so we made little green screen videos that included a little pirate song and their new pirate names! Argh Matelot! 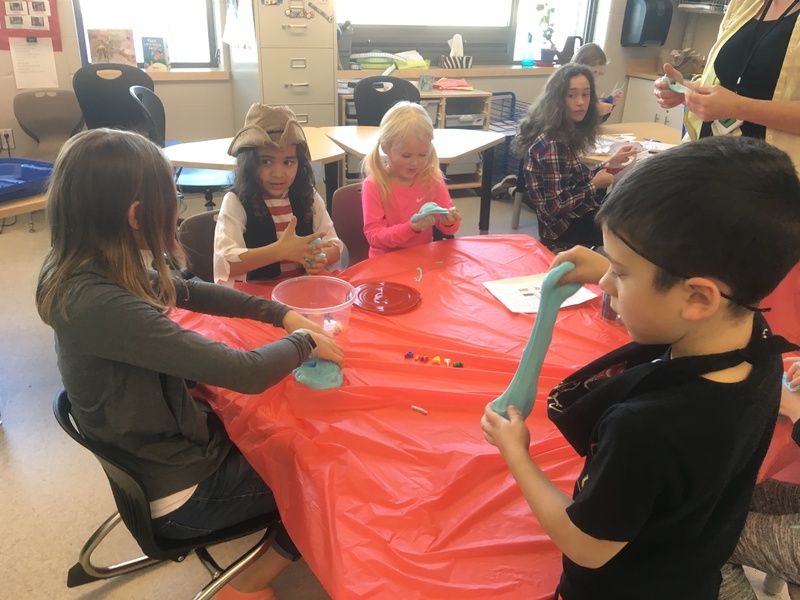 One of my favourite stations was the one where students needed to find their pirate treasures in slime. 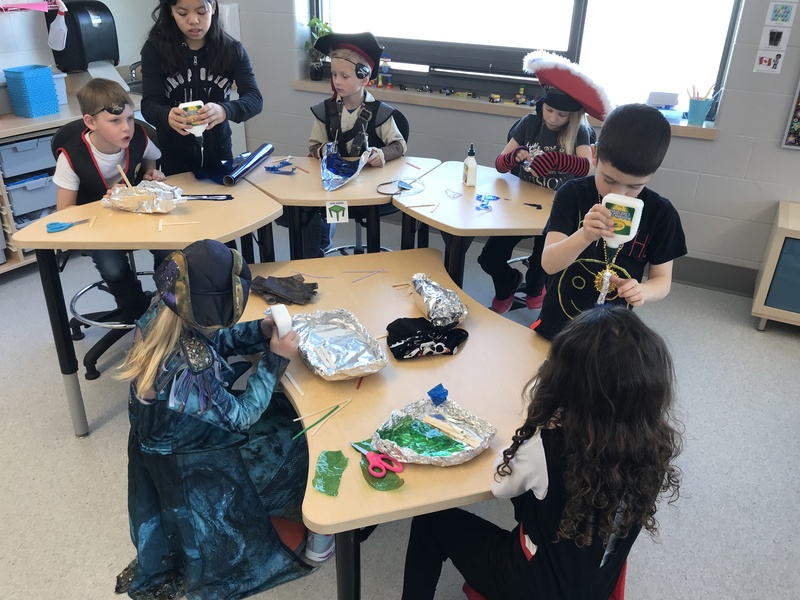 These pirates had to find the letters to spell the word pirate (which is the same in French and English), but had to be mindful of the fake treasures (i.e. the wrong letters mixed into the slime). As we gathered together at the end of the day, it was clear that the students had thoroughly enjoyed the day. 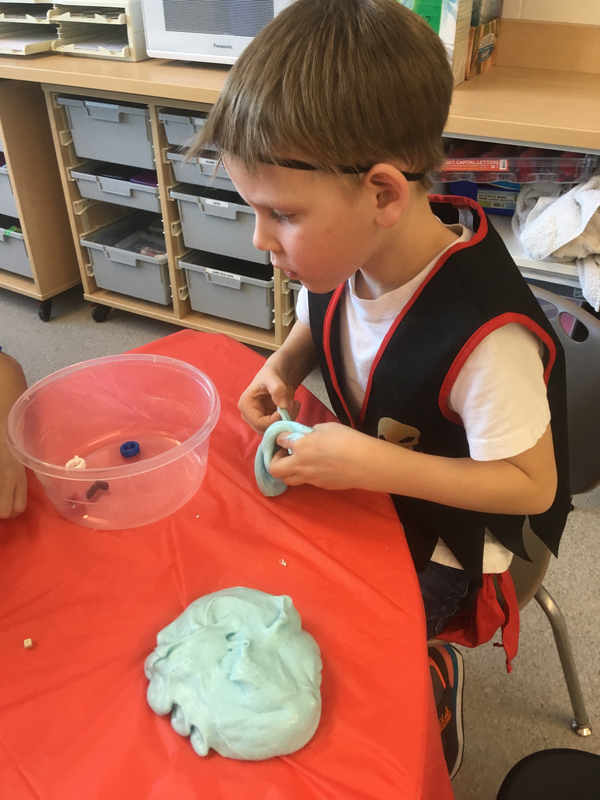 When I asked them what their favourite part was, answers ranged to cover every single activity that had been done that day; there truly was something for everyone. 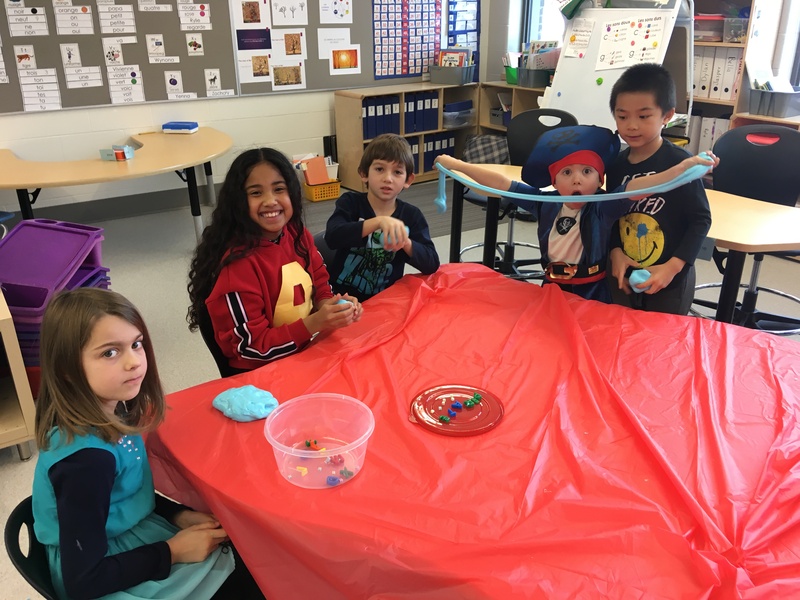 This day did take quite a bit of planning, which wasn’t always easy especially while trying to juggle the demands that the last few weeks of school before the winter break bring, but it certainly was worth it. Who knows, maybe this day will be the one that a student remembers for a lifetime, just like I remember my trip to Mali! Loved watching this unfold on Twitter in Dec. love this post with all the deets and pics even more! Thanks so much, Ramona! It was a super fun day! !